"We hold these truths to be self-evident, that all men are created equal." 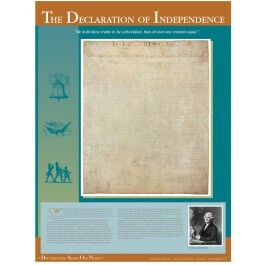 So begins the Declaration of Independence, one of the most famous and important documents in American history. 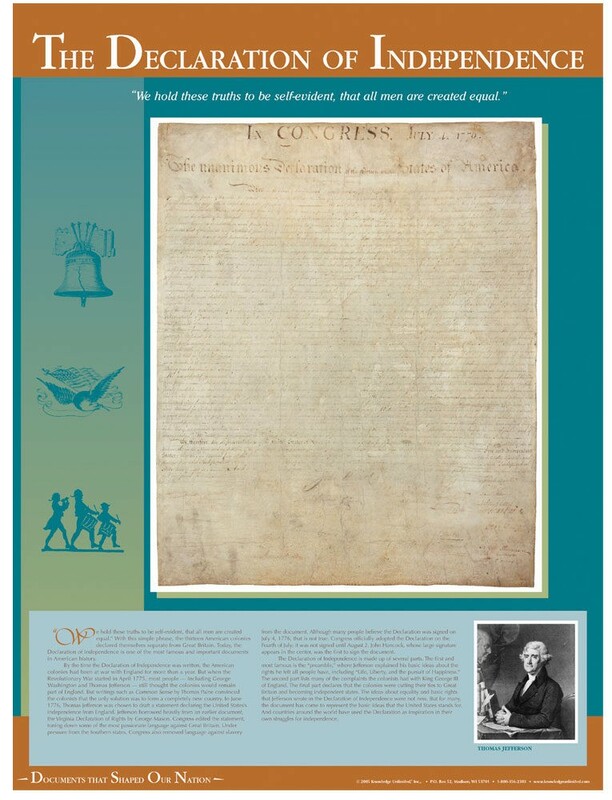 This simple phrase is highlighted on this unique poster, which also features a photo of the original document, and a concise and clearly-explained history of the document. Adopted on July 4, 1776, the Declaration of Independence has come to represent the values upon which the U.S. was built, and has served as an inspiration for other countries around the world struggling for their independence.